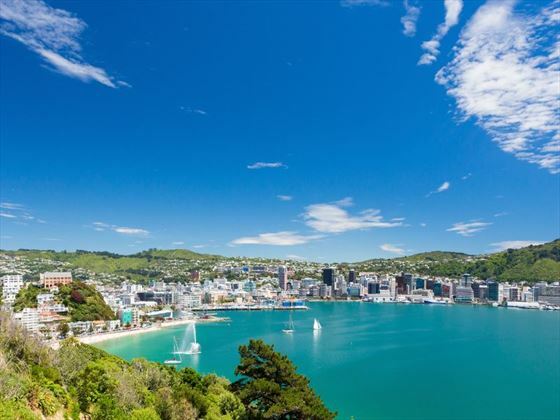 Rich Maori culture, spectacular lakes, unforgettable cruises and cool cities: this fabulous 16-night tour embodies everything that makes New Zealand such an interesting place to explore. 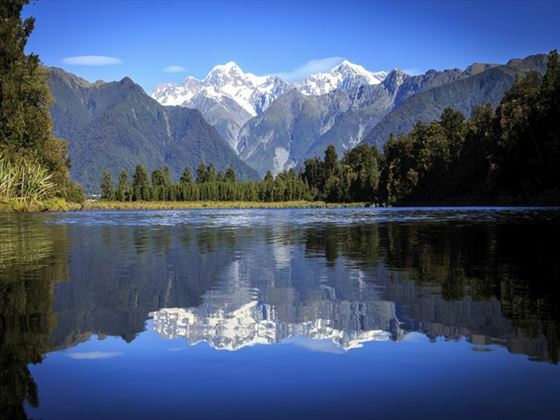 Starting in Christchurch and ending in Auckland, your journey will take you through some breath-taking routes, including the Bay of Islands, Milford Sound, Rotorua and Franz Josef Glacier. 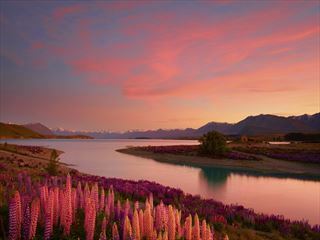 From hopping on board the TranzAlpine train through Arthur’s Pass and dining with natives in Rotorua, to cruising through Waitomo’s Glow Worm caves and visiting a fascinating greenstone factory, there’s plenty of fantastic moments that will make your New Zealand trip all the more exciting (AA). Upon arrival, you’ll have a few hours to relax before meeting your Travel Director and your fellow group of travellers for a welcome reception and dinner. 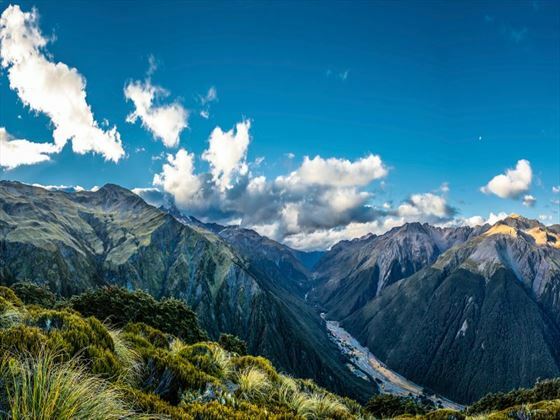 Today you will board the renowned TranzAlpine train, journeying across beautiful scenery and through Arthur’s Pass. You’ll stop at Hokitika to learn all about the fascinating New Zealand greenstone (jade), before continuing on to Franz Josef. Your journey will take you over the jaw-dropping Haast Pass in the morning, travelling past Thunder Creek Falls and the tranquil Lakes Wanaka, Hawea and Dunstan. Your adventure includes a quick top in the small town of Cromwell to relish a taste of the juicy stone fruit, before moving on to the historic gold mining settlement, Arrowtown. 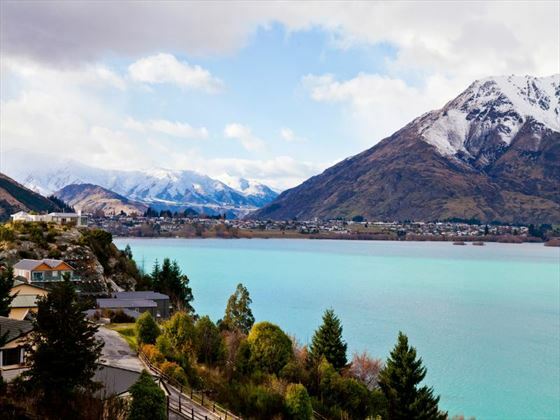 Once you’ve arrived in Queenstown, you’ll be treated to an orientation tour of the city, including seeing the soaring mountain ranges that frame Lake Wakatipu. The daytime is free for you to explore Queenstown as your own pace. Whether you fancy sipping divine wines on a vineyard tour, hopping on board a jet boat ride, or even white-water rafting, the adventure capital of New Zealand has plenty to excite you. In the evening, you’ll be enjoying a cruise along Lake Wakatipu onboard New Zealand’s oldest steamship, the TSS Earnslaw. 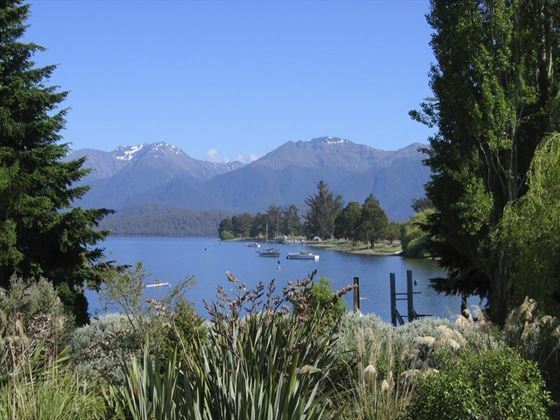 Your cruise will take you to Walter Peak High Country Farm for a decadent barbecue at the Colonel’s homestead. 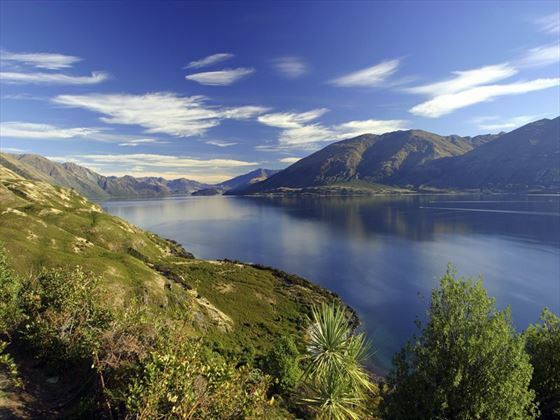 Your coach will take you over the famous highway known as Devil’s Staircase today, travelling along the stunning shores of Lake Wakatipu to Te Anau. 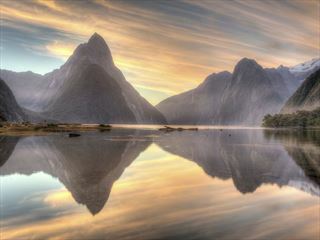 Your journey takes you through the lush rainforests and jagged mountains of Fiordland National Park before boarding a cruise to Milford Sound. 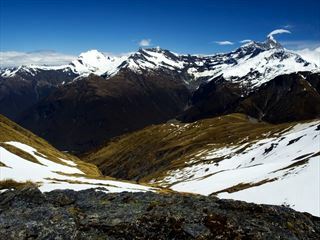 From there, you’ll drive through hand-hewn Homer Tunnel, past the awe-inspiring Mirror Lake, past Pop’s Lookout, Cleddau Valley, Mirte Peak and Bown Falls, and on to Te Anau. In the morning, you’ll drive through the plush sheep grazing country and make your way to Dunedin. Once there, you’ll enjoy a riveting city tour before being treated to some spare time to explore the streets yourself. There’s plenty to do here, including riding the historic Taieri Gorge railway or embarking on a wildlife cruise. Spend the morning exploring stately home Larnach Castle, before continuing on to Oamaru, a large town characterised by its tree-lined streets and white limestone buildings. You’ll then journey forward to Omarama, passing by the monumental Waitaki Hydro Power Scheme and Benmore Dam. Omarama is a gorgeous small township in the Waitaki District, with striking mountain views. Your drive is a very scenic one today, travelling through the astonishing Aoraki Mt Cook National Park with the option of stopping for an amazing scenic flight. Next up, you’ll travel past the regal Lakes Pukaki and Tekapo, before stopping to enjoy the views of the iconic Church of the Good Shepherd. Your drive ends with a drive through the Canterbury Plains to Christchurch. Day nine will see you travelling along the rocky Pacific Ocean coast to Kaikoura, where you’ll hopefully spot sperm whales – there’s a fantastic option of a whale-watching flight if you fancy. You’ll then pass the pretty pink-hued crystallisation ponds of the Lake Grassmere Salt Works, before travelling to the picturesque coastal village, Picton. The day begins with a calm cruise across Queen Charlotte Sound, before crossing the Cook Strait to Wellington. Once there, you’ll be taken on an interesting city tour before enjoying some time for yourself. 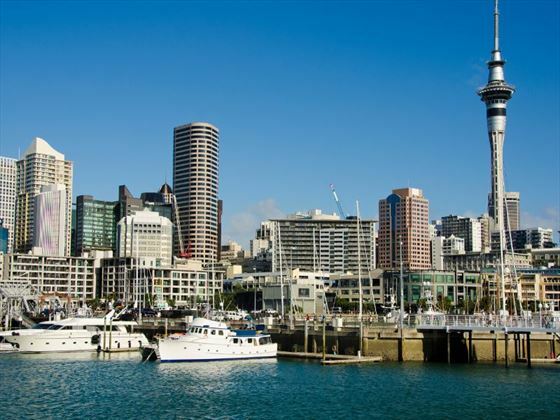 In the afternoon, you’ll meet again to visit Te Papa Museum of New Zealand, giving you the chance to discover it’s though-provoking exhibits that reveal New Zealand’s history, culture, natural heritage and art. Today you will drive alongside the beautiful Kapiti Coast, travelling through dairy-farming country to reach Tongariro National Park and the snow-capped Mt Ruapehu. 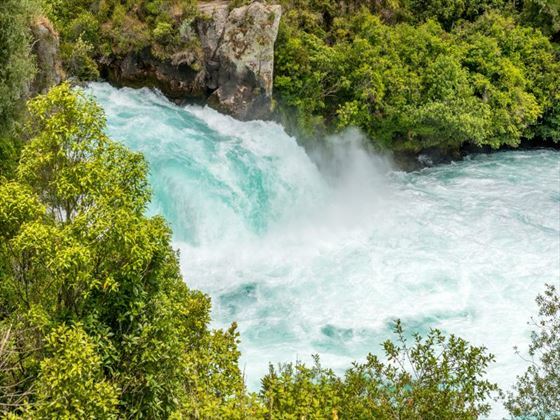 Throughout your journey, you’ll be treated to sensational views of Lake Taupo, the largest lake in Australasia, and you’ll also discover the cascading Huka Falls and the Wairakei Geothermal Power Station. The morning begins with a seat at the multi-award winning Agrodome Farm Show, before having a few hours to explore Rotorua at your own pace. 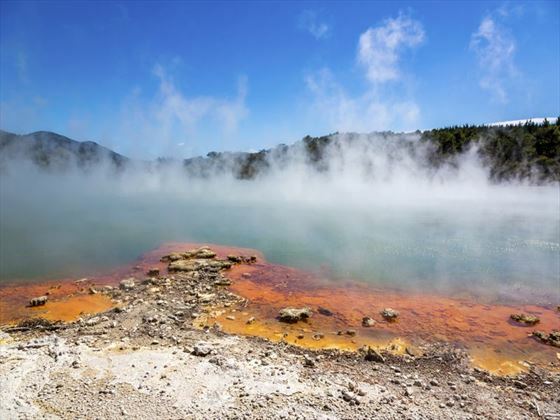 We’d recommend exploring Rainbow Springs Nature Park to see the famous New Zealand kiwi birds, or perhaps you’d prefer to discover the Te Puia thermal reserve. Your group will join together again in the evening, where you’ll enjoy an insight into traditional Maori culture with a wonderful Hangi Highlight Dinner at the Tamaki Maori Village. Today will be spent driving to Auckland. 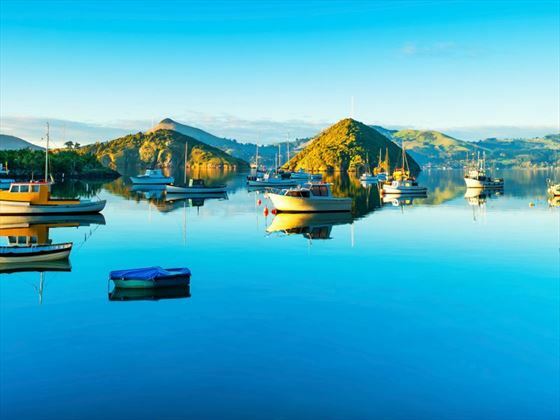 The day’s itinerary includes travelling through Waikato farmland to see the breath-taking Waitomo Caves, discovering the incredible underground Glow worm Grotto by boat (optional), and hiking through fabulous limestone caverns (optional), all before driving along the Waikato River into Auckland. Once there, you’ll be given an orientation tour. 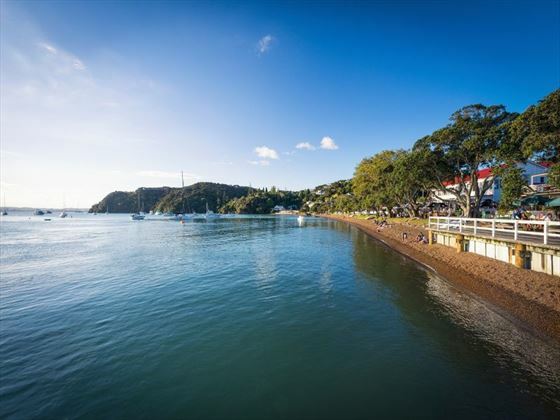 Your trip out of Auckland involves crossing the impressive Harbour Bridge, before driving through Orewa, along the Hibiscus Coast, and over to Paihia in the Bay of Islands. Once there, you’ll board an incredibly scenic cruise to Cape Brett, where you’ll discover on the New Zealand’s most iconic landmarks: the Hole in the Rock. The whole day is free for you to explore and do your own thing. 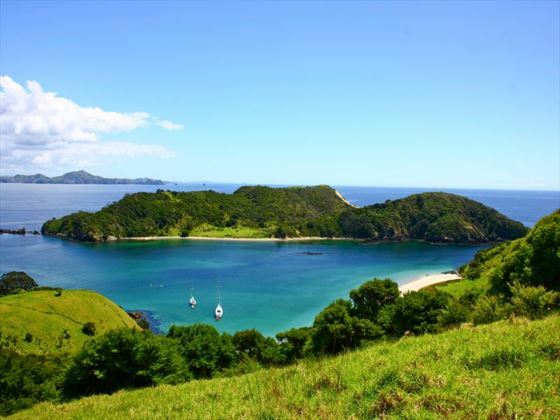 The Bay of Islands present a whole array of delightful experiences to discover, including sailing on a tall ship, exploring the region’s first capital – Russell – or driving further on to Cape Reinga via the peaceful 90 Mile Beach. The morning is at your leisure, before heading back to Auckland. Today marks the end of your tour. Transfer to the airport for your onward travel. Great savings Book now and save up to €500pp on selected travel dates. Travel dates 15 Apr; 6 May; 13 May; 17 Jun; 15 Jul; 12 Aug; 26 Aug; 2 Sep; 9 Sep; 30 Sep 2019.